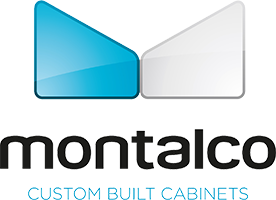 Would You Like Some Help Choosing the Design and Cabinet Style for Your New Home or Home Renovation Project? Perhaps you started an inspiration file that’s full of ideas and photos you have collected but it’s really getting big and you feel no further ahead. Without some professional help for your particular project, it’s hard to know whether what you like in a photo or online will look good in your own space. You might have visited Houzz which is an extensive online photo database for people in the process of building, remodeling and decorating. Houzz also has a directory of local home improvement professionals, including Gem Cabinets’ design professional, who uses the site to connect with home owners. With so many design ideas, styles and finishes to choose from, making the right decision for your home space and budget can be time consuming and sometimes frustrating. We are here to help you every step of the way. Our design team will work with you to develop the best cabinetry plan for your space, style and budget. Contact us to arrange your design consultation with one of our design professionals. Sometimes it is overwhelming to choose your cabinet style and feel confident with your decision. There are just so many choices. We are here to help you with every decision. Our design team will meet with you one-on-one to help you make the best selection for your space and budget.